Just finished reading Gibson’s first installment in the “Bridge Trilogy”, and was reasonably impressed with it. In addition to being a good intro to his pre-Bigend series, it also gave me some insight into the writer himself and his inspirations. 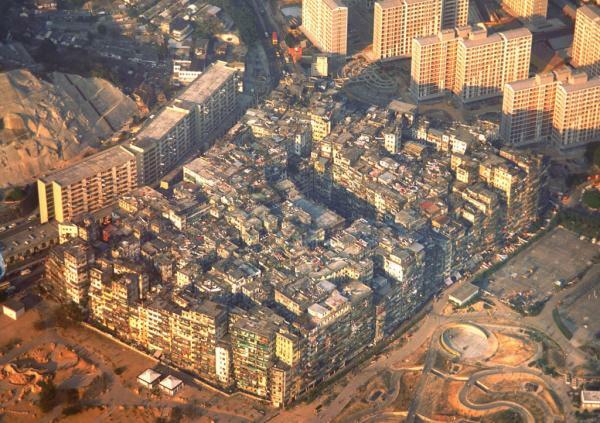 For starters, and I urge everyone to go look this up, I’d never heard of Kowloon’s Walled City before, nor did I know that was what inspired The Bridge for which the trilogy is named. In short, this city began as a Chinese fort but became part of Britain’s mandate after they acquired Hong Kong in the lease of 1898. Since that time, it evolved into a massive squatter community, a place for refugees, migrants, drug dealers, thugs, and the poor and downtrodden. Although it had a reputation for being a den of crime, gambling and prostitution, it was also home to over 33,000 people. 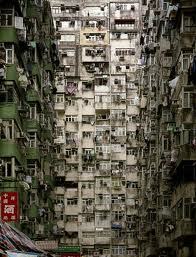 At least, until the Hong Kong government decided to demolish it in 1993. It took over a year to complete the process, and only after a very intense eviction process. 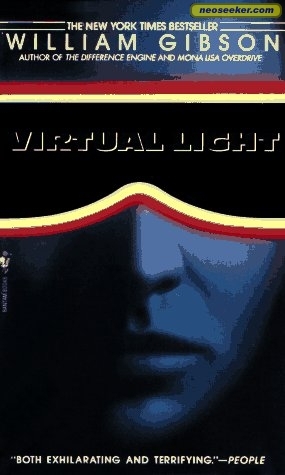 After reading about all this, I could see where Gibson got the idea for “The Bridge”, which is the center point of Virtual Light and other stories in the trilogy. 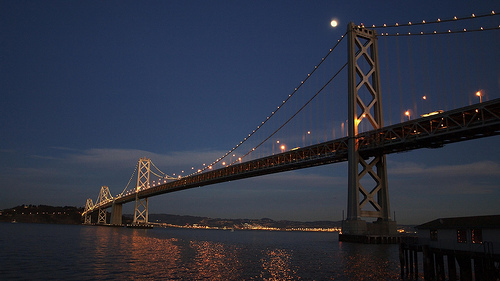 Set in San Francisco in 2005, the Golden Gate bridge has become a squatter city of its own. This was due mainly to the fact that San Fran was devastated by the “Little Grande” (aka. the Big One), and this and other factors had a dramatic impact on the city. Like many of his other works, the US and North America have become fragmented shadows of their former selves, and private companies enjoy ridiculous amounts of power. And, as usual, the main characters are freelance people who get caught up in a scheme that is far bigger than themselves. Add to that some cooky religious cult and an interesting side story about Shapely, a man who inadvertently cured AIDS and became a sainted figure, and you’ve got Gibson’s usual take on America of the future, a gritty, dirty place, marked by polarized wealth, private contractors, high-tech assassins, and corporate scheming. It was fun, enjoyable, and the concept of the Bridge was both novel and entertaining. Now for the weak points. For starters, I really didn’t feel the whole “post-millennium shock” thing. While it was a very interesting idea, it was not as well developed or convincing as I was hoping. In addition, the techno-angle, not as intriguing as I would have hoped. The glasses, which are the MacGuffin of the story, were interesting enough, but really didn’t blow my mind the way some of his other works have. And the story’s setting just doesn’t seem realistic given that it was set only a decade from when he wrote it. It seemed far-fetched that nanotechnology and the disintegration of America could have happened in such a short time. Perhaps that was why I felt unconvinced throughout, the fact that it was all taking place in 2005. Too soon to seem real! I was also thrown by the rather striking resemblance this book bore to Neal Stephenson’s “Snow Crash”, which had been published a year prior. The stuff about privatized America, cooky religious sects, hacker communities, and corporate plotting, not to mention how the lead female is a messenger; these were all the same! I’m a sucker for all that stuff, but perhaps that added to the whole “unconvinced” thing. I’d seen it done before, and frankly… better. Sorry William! This round goes to Stephenson.